Amiad’s filtration and treatment technologies bring clean water to industries, households and farms in 70 countries. First, the bad news: Clean water is in very short supply across the globe. Now the good news: Amiad Water Systems, founded 50 years ago at a kibbutz near the Sea of Galilee, has built a successful business by providing solutions to this pressing problem. Amiad’s filtration and treatment technologies bring clean water to industries, households and farms in 70 countries — even in remote areas such as Alaska, Antarctica, Siberia, Africa and Papua New Guinea. Earlier this year, the Israeli company got more good news in the form of $10 million worth of contracts won by its Australian subsidiary. It will install automatic self-cleaning screen filters at a desalination plant near Perth, which is doubling its 50-billion-liter annual production capacity. 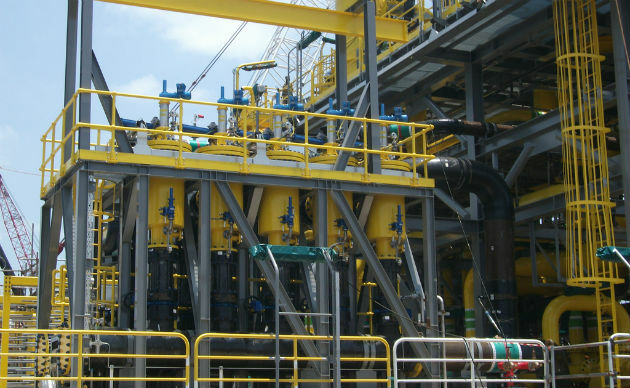 And it will put automatic self-cleaning disc technology to work in the pre-filter stage as one of Australia’s leading integrated energy companies turns coal seam gas into liquefied natural gas. That same self-cleaning disc filtration technology plays the starring role in a 10-year deal that Amiad’s US subsidiary just signed with shipbuilder Calgon Carbon to clean ballast water on new and existing boats. The system will protect the marine environment by wiping out invasive species in the ballast water before it gets returned to the sea. An Amiad installation in France. “We adapt solutions to local needs, using Israeli products,” says CEO Arik Dayan, who accepted a prize on behalf of Amiad on February 28 from Mekorot, Israel’s national water carrier, in recognition of Amiad’s contributions to Israel’s water industry. In its first three decades, Amiad focused solely on water filtration for irrigation systems — the backbone of Israeli agriculture. The next two decades saw expansion into many related areas, most recently addressing the problem of protecting membranes used in desalination and oil and gas production, two key growth areas. Amiad now has nine subsidiaries, encompassing about 680 employees worldwide. Its 450 Israel-based workers are split between Kibbutz Beit Zera and Kibbutz Amiad’s 10-acre complex for research and development, manufacturing, warehousing and training. Dayan says 95 percent of Amiad’s manufacturing is done at these two Israeli sites, while additional factories are turning out products in Turkey, the United States, China and India. Business is flowing in as fast as white-water rapids. 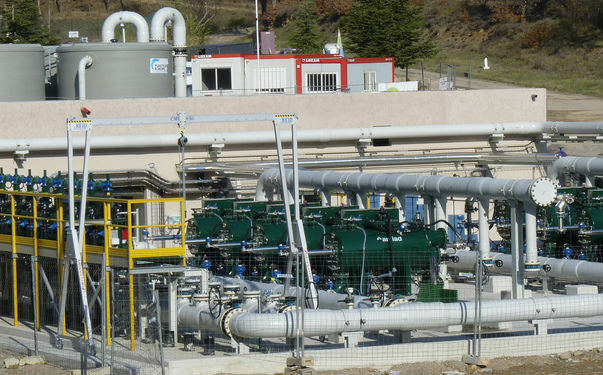 Amiad’s main challenge is to convince contractors, municipalities and engineering companies — traditionally a very conservative market — that investing in its filtration systems will save them money and energy, and will benefit Planet Earth in the process. “We are selling long-lasting green solutions,” says Dayan. The systems are compact, saving on valuable real estate, and they don’t use chemicals to do their job. Many of them don’t even require electricity. Among Amiad’s proprietary solutions is an automatically self-cleaning microfiber filter especially for drinking water. A weave-wire screen system and a grooved-disk polymer filter are options for other technology for clean water needs. “The solution we apply depends on the water quality,” Dayan explains.